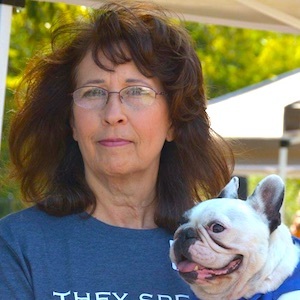 In the dog rescue community, there has been an active debate about the best way to highlight conditions for the millions of dogs who live their short and miserable lives in commercial breeding operations, also known as puppy mills. These brutal businesses are motivated solely by the bottom line. Some have suggested that purchasing dogs at puppy mills is not true rescue work, but is done by rescue groups under false pretenses to make money. As the founder of Dog Ranch Rescue, a group based in Anna, Texas, and with the help of more than 70,000 supporters, I can tell you that rescue work is a costly, exhausting passion motivated only by a desire to save the loving creatures that millions of people welcome into their families. Every single dog we rescue from auction is a chance for us to tell the story about how these dogs are treated, and how they live. If you have a dog, ask yourself how your dog would feel if it was forced, like a puppy mill dog, to live in a cage its whole life, never shown kindness, terrified of humans and of being touched or picked up. I’ve seen videos of a mill owner opening the doors of dog crates and hitting dogs in their faces to scare them so they can be fed more easily. When we bring puppy mill dogs to our rescue and open their cage doors, you can tell most of them have never been on the ground, or felt grass. Are these dogs true “rescues?” Absolutely. Having seen the physical and psychological conditions of dogs from puppy mills, we feel a calling to help them that we cannot ignore. Dogs in mills live their lives out of sight, and have absolutely no chance of being rescued unless they are one of the lucky few who end up at an auction and are purchased by a rescue. The dogs we rescue cost more money than the adoption fee covers — sometimes by several hundred dollars, sometimes by several thousand dollars — because we take care of every medical need. Are we enriching the mill owners by buying dogs at auction? The sheer size of the breeding industry makes that allegation ridiculous. The percentage of dogs that come up for auction is a small percentage of the 2 million dogs in 2,423 commercial breeding operations, which collectively generate $2 billion annually. Of those millions of dogs, only about 7,500 go up for sale at dog auctions per year. From our experience, at any given auction only 20 percent of dogs are sold to rescues. The rest go from one mill owner to another. That means that, at most, a mere 1,500 dogs are purchased by rescue groups, leaving the rest of the 2 million dogs to live out their lives in breeding facilities. Even if rescue groups paid $10,000 per dog (which they don’t come close to doing), rescue sales would still represent only 1.5 percent of annual industry revenue. Rescue groups aren’t driving the billions in annual revenue — it comes from puppy purchases by a public that is largely uninformed about puppy mills. 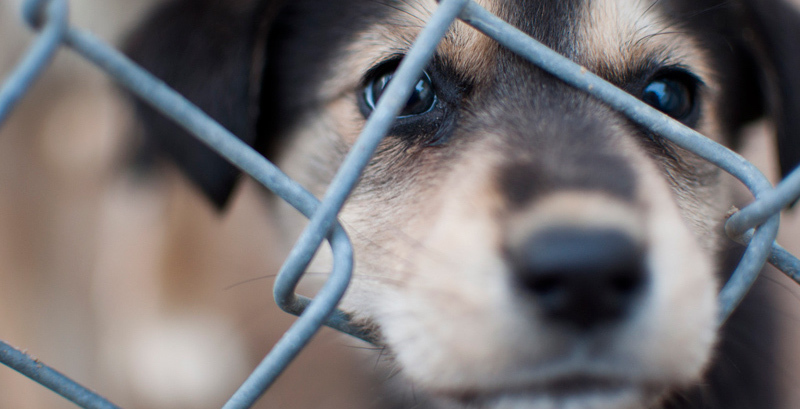 The business of puppy mills — breeding them and selling them — operates in the shadows. The USDA is in charge of inspections, but there are only 115 USDA inspectors responsible for making sure that all 2,423 commercial breeders, as well as zoos and laboratories, are compliant with basic regulations. At best, these inspectors can only visit a fraction of facilities. And the one window that the public had into these businesses — online access to inspections and violations — was removed from public view by the USDA last year. Our best glimpse into conditions in puppy mills is the conditions of the dogs themselves. At the auctions, we have rescued dogs with cancer, dogs with heart failure, dogs needing heart surgery, dogs with their jaws rotted off because of diseased and neglected teeth. We rescued a pup whose stomach didn’t function so he was starving to death. We have seen female French bulldogs who were cut open to remove their puppies. Rescue groups, unlike commercial breeders or auction houses, are transparent. Like all 501(c)(3)s, we annually file publicly available returns. Our rescue runs on volunteer hours and our emotional and physical energy. No member of the board takes a salary, and there is no staff. Rescuing dogs at auction saves, at best, a tiny percentage of mill dogs. But every single dog we rescue from auction is a chance for us to tell the story about how these dogs are treated, and how they live. Until the public begins to ask questions about where their dogs come from, until they begin to understand how horrible these operations truly are, there will be no change. Playing college football was a dream. Now I live with the consequences.